If you read this it will make you rich beyond your wildest imagination! Seriously. Yeah, right… If only we could make promises like these on our company landing pages and content pages, we could sit back and watch the leads pour in. Unfortunately, it doesn’t work like that. There is no magic wand, there is no abracadabra, and there are no three wishes. Landing pages and great content (along with your sales CRM) – which really connect with people in a language that interests them and excites them – is a sure-fire way to make your audience sit up and take notice. If you can manage to engage them, entertain them, answer their unique concerns, and create an urge for them to take action, you’ve gone a long way towards casting a very potent magic spell. But what is great content, how do you go about creating that content, and how do you engineer landing pages that make people want to click through and beg for more? Let’s see can we answer some of those big questions. Go to your search engine and ask the question, ‘What are landing pages?’ Wow! Fifteen million possible answers, it must be really complicated. But here’s the thing, it’s not.` A landing page definition – according to Hubspot – ‘…is a website page that allows you to capture a visitor’s information through a lead form’. In layman’s terms, a landing page is a web page that instantly creates interest, compelling the visitor to put their hand up, and ask the question – by means of a landing page form – ‘Please sir, can I have some more? And if that content is good enough, it can make us act in a desired fashion. Great content, together with intelligently designed landing pages are the gateway to smart engagement and lead gathering. And your sales CRM is the vehicle to push that process. How to create a great landing page? When creating a website landing page the first question you need to answer is – What do you want the visitor to do once they get there? Usually, your landing page goal is to have the visitor freely offer their contact information. But, in order to do that you will need to offer something of value in return. Provide free downloads – white papers, case studies, etc. 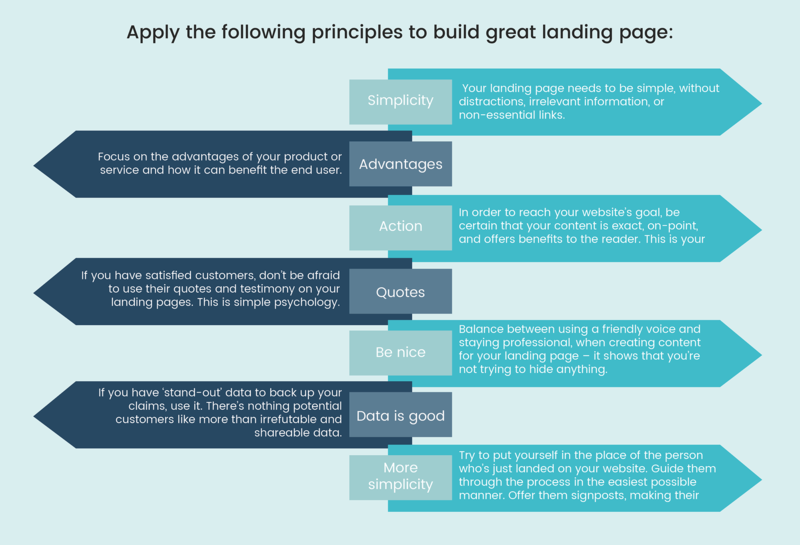 Great landing page examples are usually built using the following principles: Simplicity – Your landing page needs to be simple, without distractions, irrelevant information, or non-essential links. Advantages – Focus on the advantages of your product or service and how it can benefit the end user. It’s these advantages which may just help to solve their pain-points and resolve their queries while giving you an advantage over your competitors. Action – Your aim was to bring visitors to your site with a set goal in mind. In order to reach that goal be certain that your content is exact, on-point, and offers benefits to the reader. This is your call to action so make it count. Quotes – If you have satisfied customers don’t be afraid to use their quotes and testimony on your landing pages. Your visitors are looking for genuine answers and those answers don’t come any better than the words of a happy customer. Be nice – Try to develop a friendly voice when creating content for your landing page – it shows that you’re not trying to hide anything, or baffle them with technology. But remember to stay professional and offer real value rather than just banter. Data is good – If you have ‘stand-out’ data to back up your claims, don’t be afraid to use it. If there’s a reliable source for the data use it. There’s nothing potential customers like more than irrefutable and shareable data. More simplicity – Try to put yourself in the place of the person who’s just landed on your website. Guide them through the process in the easiest possible manner. Offer them signposts, making their journey towards the call to action as painless as possible. What is great content and how to create it? No matter what story you want to tell as part of your inbound marketing strategy you can be sure that somebody has already told it. But, what makes your story stand out from the crowd is how you tell your story and the voice you decide to tell it with. Creating content is not so difficult. Creating content that stands out is. How are you going to make yours stand out? Firstly, you can create the content yourself, you can hire an agency, or you can build your own in-house marketing and copy creation team – it all depends on your budget, your company size, and your ambitions. 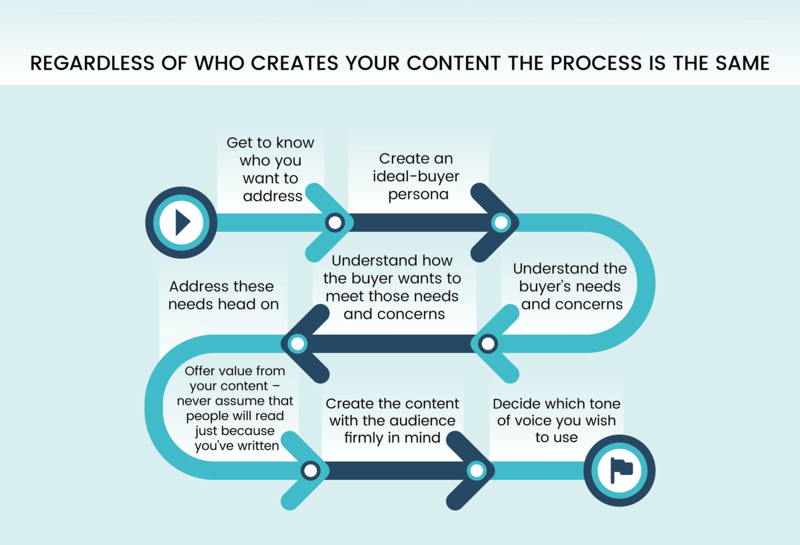 Regardless of who creates your content, the process is the same. Emotion – This type of content is designed to change the playing field of your industry and how people really feel about it. Emotive content doesn’t necessarily educate, but aligns an emotion with your content, regardless of what that emotion is; joy, satisfaction, fear, positivity. For example, the arrival of a new time-saving sales tool or feature might announce, ‘Salespeople be afraid, there’s a new kid on the block!’ A headline that at first glance might appear threatening turns the content on its head to announce a ‘benefit’ for salespeople. Authority – Authoritative content aims to held as the highest value to your audience. Your content sets you and your business as being the voice of authority on a particular topic. Your content is not there to sell directly, it exists to raise your profile as a go-to source of information on a topic. Authoritative content is more difficult to create – ‘10 killer sales trends for the next 12 months’ – it has to be infallible, offer definitive proof, and fact-driven predictions. If your content proves inaccurate your credibility and your ability to attract a future audience is in grave danger. Solution – In order to offer your audience value, solution-centered content is designed to offer solutions, answers, top methods, listicles, and valuable ‘how-to’ information to your audience. This type of content is best used for connecting with new audiences and serves to establish your voice as being reliable when it comes to finding resolutions to needs and problems. Advertising – This is time for you to blow your trumpet, to shout from the rooftops about the quality of your product, about its benefits, and about how your life is not worth living with it. But, the main concern with advertising content is that people will soon get tired of hearing that trumpet being blown. Advertising content is best used sparingly, when you really have something to shout about, and tends to work best as a driver of sales, instigating trials and subscriptions, and generating leads. The four main content types listed above as best worked as individual solutions, so try not to mix one with another – content eliciting an emotional reaction shouldn’t also shout about the miracles of your great vacuum cleaner’s ability to work its way into tight corners. Be clear with your message, and know exactly who you are trying to reach. A great CRM, content that hits home like a missile and landing pages that make audiences take action are an unstoppable sales combination. Teamgate sales CRM gives you just that combination by means of a series of intelligent tools and features designed to make your website a lead-capturing magnet. Using your website and WordPress lead capture, instantly create user forms – templates provided, and NO technical knowledge required – which drive leads to your CRM. 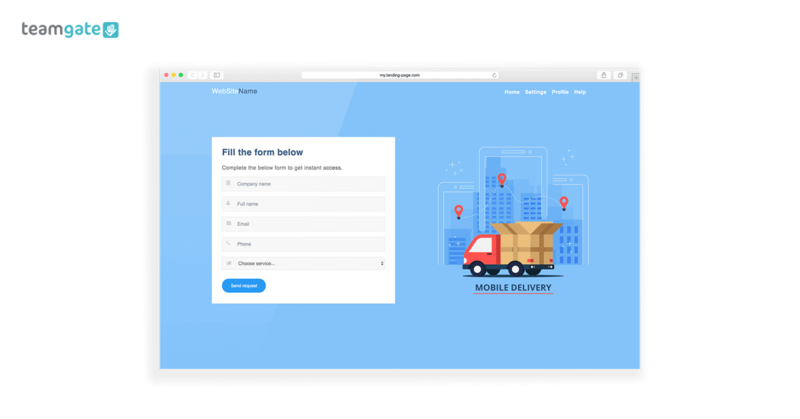 Again using your Teamgate CRM software drive traffic to the great content you’ve created on your website, once there the CRM will help you entice them on-board, take action, sign up for a trial or demo, or participate in whatever strategy you’ve aligned for their arrival. The combination of CRM landing pages and great content can be your greatest weapon in the ongoing sourcing of new and valuable leads. Don’t just think of content as being the fluff that fills your web pages. Use the content creation methods described above; couple your content with your CRM and proactive landing pages; and get ready to watch the leads come flowing in. But never rest on your laurels when it comes to content creation and your landing page forms, just because they worked once doesn’t mean they’ll work every time. The market is forever evolving, fashions are forever changing, and software keeps on developing; try to stay abreast of trends, new outlets for your content, new methods of content delivery, and new ways of storytelling. Keep your CRM scaled and up to date with the tools and features that will help you deliver your content exactly where the audience is waiting. And most importantly, give your audience what they want, when they want with, and where they want it. Ilmaras is our salesperson here at Teamgate. 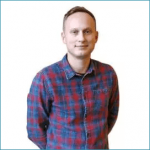 He is passionate about sales management and always helps you find the most useful sales tips. 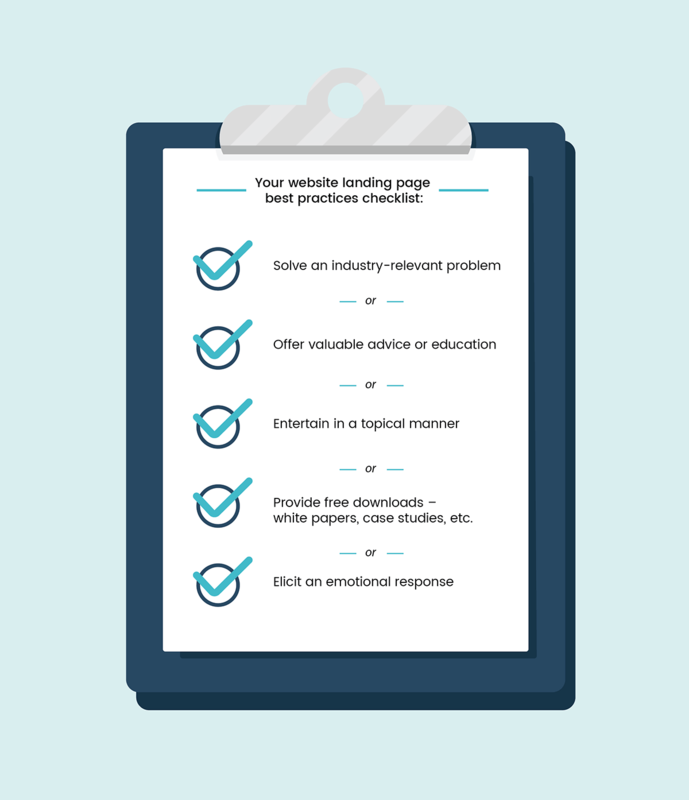 Use a Landing Page to generate additional sales leads. For A/B testing you can create any number of landing pages without any specialised tech knowledge, web designers or IT specialists.